Can you crack the code and solve the Mystery of the Sea? Archie Hunter travels to Cruden Bay, Aberdeenshire, to enjoy a little rest and relaxation in the small seaside village. But his holiday takes an unexpected turn when he begins to see spirits of the dead and an old woman named Gormala tells him he possesses the "Second Sight." According to Gormala, both he and she are Seers, and she proposes an alliance to solve the centuries-old "Mystery of the Sea." But the sea holds more mysteries than one. Archie discovers a chest full of old documents he believes contain a coded message revealing the location of a lost treasure of the Spanish Armada. And then there is Marjory, the beautiful American girl Archie saves from drowning. Who is she, and why is she being pursued by a vicious gang of criminals and the American Secret Service? 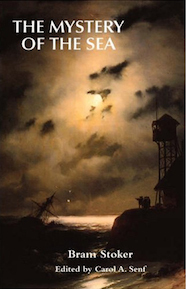 Featuring a dizzying plot packed with adventure, romance, and the supernatural, The Mystery of the Sea (1902) is one of Bram Stoker's finest novels. 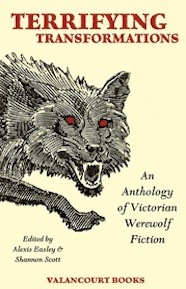 This edition, the first published in the United States in more than a century, features the unabridged text of the first edition as well as an introduction and notes by Carol A. Senf, one of the world's foremost Stoker scholars. 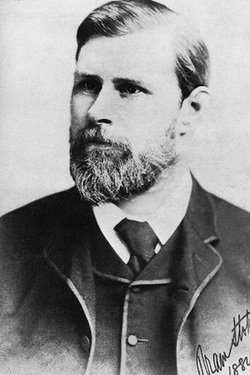 Bram Stoker (1847-1912). 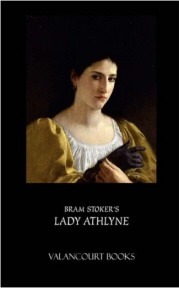 Abraham “Bram” Stoker was born in Dublin, the third of seven children in a middle-class Protestant family. His father, Abraham Stoker, was a civil servant, and his mother, Charlotte Stoker, was a social activist. He was bedridden as a child but later went on to enroll at Trinity College, Dublin, where he studied mathematics and was known for his skills as a debater and athlete. After graduating from Trinity in 1870, he followed his father into civil service, working as a clerk at Dublin Castle. The next year, Stoker began working in his spare time as an unpaid theater critic for the Daily Mail, a position which brought him into contact with a number of writers and actors, including Henry Irving. His glowing reviews of Irving’s performances planted a seed of friendship between the two men, and in 1878, Stoker became Irving’s business manager, a position he held for twenty-seven years. In the same year, Stoker married Florence Balcombe, and the two welcomed a son, Noel, in 1879. Assuming the position as Irving’s business manager required that Stoker move from his native Dublin to London, where he was responsible for running Irving’s Lyceum Theatre. During the next few years, the two men, along with partner Ellen Terry, developed the theater into one of the most popular and esteemed West End venues. Stoker oversaw a number of international tours as well as the daily operations of the theater. The Lyceum came to be seen primarily as a vehicle for Irving’s and Terry’s work, especially their acclaimed performances of Shakespeare. In part due to Stoker’s devoted management, Irving achieved the pinnacle of fame when he received the knighthood in 1895. 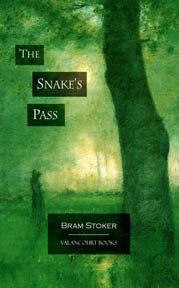 In 1872, Stoker published his first work of short fiction, “The Crystal Cup,” in London Society magazine, and in the 1880s and ’90s, he published a number of books, including a collection of fairy tales titled Under the Sunset (1882) and an adventure novel titled The Snake’s Pass (1890). 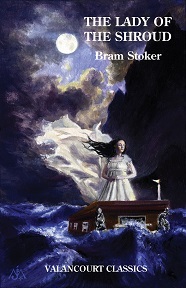 However, it wasn’t until the publication of Dracula in 1897 that Stoker became a literary celebrity. Stoker went on to write ten more novels, including The Jewel of Seven Stars (1903) and The Lair of the White Worm (1911), but these works did not significantly advance his literary reputation. Indeed, by the early twentieth century, he was perhaps best known as the author of a celebrity memoir, Personal Reminiscences of Henry Irving (1906).